With so many different types of cucumbers, it is difficult to pick the right one to grow in your garden. It’s even harder to pick cucumbers for a smaller garden. Fresh cukes for sauces and pickles for your salads and sandwiches are a beautiful thing, but with a small space, you may think they're out of reach. Thankfully you don't have to settle when it comes to the perfect cucumber to add to wherever you grow. 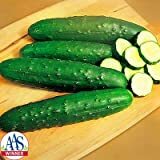 Can You Grow Cucumbers Anywhere? How many different types of cucumbers could there be? Are You Ready For Cucumbers? A cucumber is a creeping vine plant that produces fruits in a wide range of sizes. The cucumber fruits are delicious, and though they don't have much nutritional value, they're used in salads often. The smaller fruits are often pickled depending on the kind of cucumber. 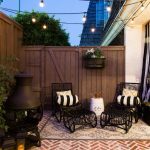 With a long and tough stem, the vine sprawls out and can climb or cover a wide variety of space. The leaves are broad and hairy, and the lengthy stem sends out tendrils to help support the plant. The bright yellow flowers have five petals and are either male or female, but both sexes appear on the same vine. Cucumber plants are picky when it comes to temperature, and moisture. That makes cukes a little challenging to handle in a traditional outdoor garden, depending on where you live. 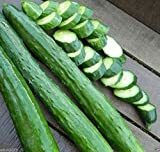 There are many types of cucumbers available from bush cucumbers to a more traditional vine plant. Cucumbers, traditionally grown outside, also do surprisingly well in a container. If you use a lattice in the pot you want to grow them in they climb it, just like a bean plant. They need warmth, fertile soil and consistent moisture. The constant needs makes them high maintenance, but with the right supplies, you can grow them anywhere. When you pick the types of cucumbers you want for your garden, you will need a compact or space saver variety. Otherwise, it'll be useless to try to grow them in a small space. A conventional cucumber plant can quickly overtake your small garden if allowed to do so. Starting the right plant enables you to grow cucumbers in a smaller space. There are over 33 different types of cucumbers you can grow at home. 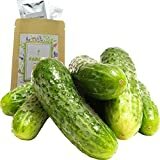 They include both pickling cucumbers and eating cucumbers. Unfortunately, not all of them are compact enough to grow wherever you are. There are a few varieties, regardless of your needs, that are great for a compact growing lifestyle. The different cucumber plants below should flourish well in smaller spaces. There's even a variety of salad and pickling cucumbers here, allowing you to pick and choose from a group of great crops based on your needs. These slender delightful straight green fruits are great salad cucumbers. They flourish in a smaller potting situation such as a greenhouse and have thicker smooth skin that takes handling well and shipped. This variety lends itself to growing a large crop for distribution. The thick skin, though, results in a slightly less appealing cucumber in comparison to the thinner skinned European types. It also has serious resistance to a variety of different diseases. Including TLS, SCAB, and CMV. These viruses and diseases can demolish a crop easily, especially in an enclosed greenhouse set up. These cucumbers are planted a week after all dangers of frost are gone for sure. You can raise them in the greenhouse or transplant them outside if you're working with a small garden. One of many types of cucumbers used for pickling, the National Pickling variety dates back several decades to 1924. The cucumbers end up being about 6-7 inches, and they grow best in a really warm area. The seeds won't take unless they're in soil over 50 degrees. 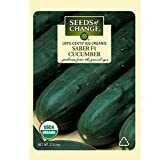 You can save the seeds of these cucumbers to be used to plant a new crop in the next year, considering that they're organic. With male flowers blooming first, it's sometimes difficult to get the female flowers pollinated. If bees don't have access to your plant, you can hand pollinate with a q-tip to encourage growth. 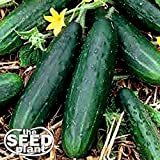 These pickling cucumbers also have difficulties if you plant them in the same place year after year, which encourages mold growth and pest development that can kill off your crops. 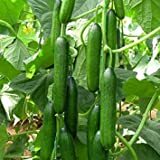 These delightful cucumbers grow incredibly well in pots and flourish in small areas such as an enclosed garden or patio space. They form up in a bush, much like a zucchini, allowing them to fit in more compact areas. Add a lattice to the equation and you'll have hanging cucumbers in no time. They grow up to 8 inches long and do still require lots of sun and water like any other cucumber plant. You'll need to water them enough, but even just a little too much and the seeds will rot instead of sprout. These types of cucumbers are best for eating with salads and sandwiches. This plant is so compact that it can fit in a pot on your porch. It's a short plant with incredibly strong vines, delivering delicious cucumbers. They grow fast and can produce quite a few cucumbers from one plant. If you like to garden in a container, there is no cucumber better than this Spacemaster. They're smart space-wise, efficient, and produce sweet fruit as well. They're hearty and fight back against a variety of diseases, but there is a downside to this delightful cucumber plant. Some diseases, such as powdery mildew, hit them hard and can kill them fast if you don't keep on top of it. Grown and shipped from US as long as "Ships from and sold by" reads The Seed Plant! These types of cucumber plants require full sun for six hours and produces fruit at about eleven inches. For a space saver plant, that is amazing considering the small space it's growing in. You'll get quite a few crisp and delicious cucumbers that appear hearty and have an amazing flavor. With just 55 days from germination to harvest these cucumbers are quick to grow and efficient in space as well. As always it's a demanding plant and needs great soil food, and a plethora of water to thrive. As well as almost full sun, so prepare to ensure this plant has the right conditions. If you do, you'll reap quite a delectable reward for your hard work. This semi-dwarf plant is a hybrid that produces cucumbers up to 10 inches long. 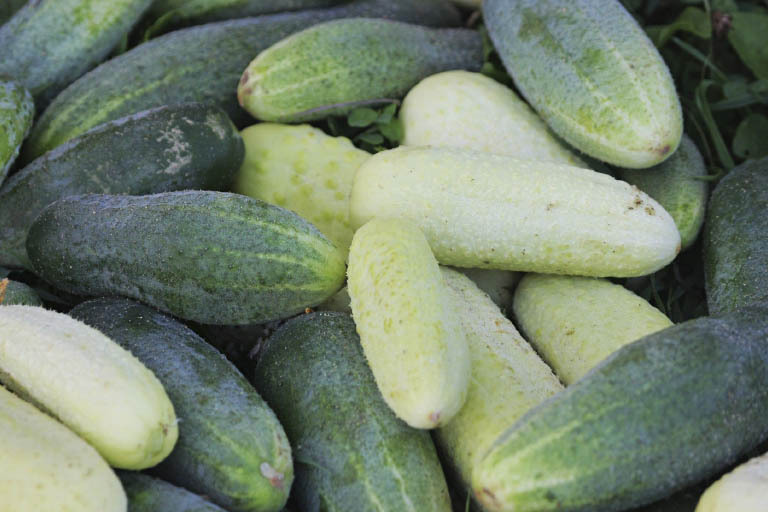 With a mild taste, this cucumber is best for salads and isn't good for pickling at all. You can plant it in rows, closer together, or you can plant it in pots since it is a space saver plant. 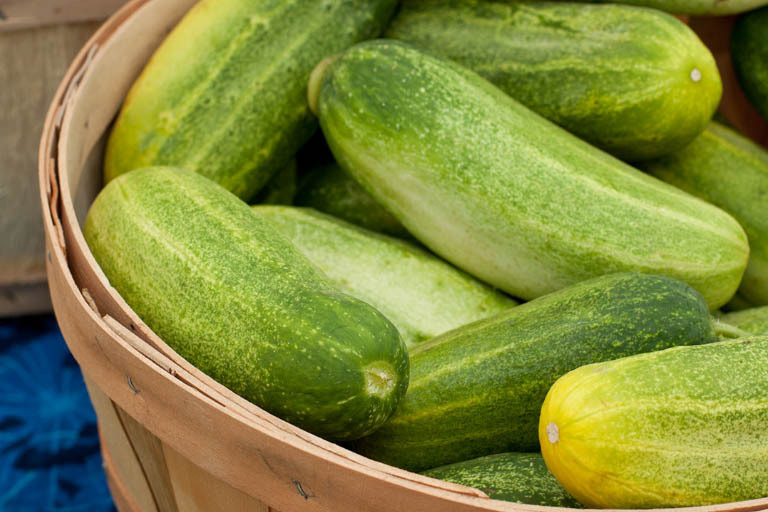 With a long harvest season, you'll get more cucumbers for a longer period of time. It's also an incredibly disease resistant plant, though it isn't impossible for it to become diseased or pest-ridden. 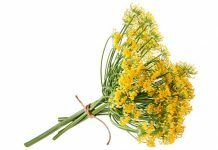 It's a wonderful plant to pick if you're trying to get a lot of crops out over a longer growing season. As with most cucumber plants, it works best in full sunlight but can also thrive in partial shade. Planted in spring or late summer this plant is one of the many types of cucumbers that people have adored for years. This cucumber plant grows delightful cucumbers without forcing you to deal with a plethora of vines. It takes up so little room because it’s a space saver plant. Planted in pots it is an excellent addition to just about any small garden. 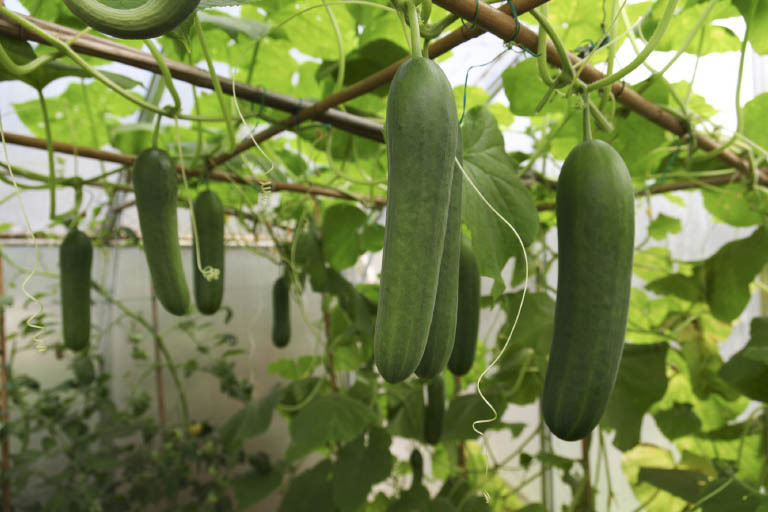 This plant grows cucumbers to reach about 8 inches which are relatively large for such a tiny plant. With a very high resistance to diseases, this plant has a long harvesting season and can produce a large number of cucumbers. It’s not at all recommended to use these for pickling. Instead look at some of the pickling varieties if you’re looking for pickles instead of just salad cucumbers. 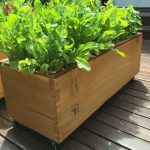 It’s also great in raised beds and other small areas such as patios and greenhouses. There are a lot of things that go into picking the right cucumber plant for your needs though. It's incredibly important to choose and properly plant the cucumber plant that's right for you. Your choice of cucumber plants should focus on what you want out of the plant. Do you want pickles or cucumbers you can eat outright? How much space do you have available and will this cucumber plant fit in this space effectively? Will it grow out of the space you currently have? On top of that cucumbers need a lot of water to grow properly, and a lot of soil as well. 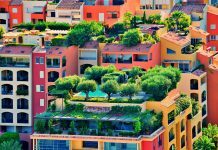 Without the water and soil combination, you're not going to get a healthy plant or a lush harvest. The pot you pick needs to both be deep enough and have good drainage. Otherwise, you will attract mildew, fungus, and pests to your cucumber plants. Once you have the right plant, container, productive soil and water you'll also need food. Container gardens or small gardens often need a little help in keeping the plants healthy. You can do this by providing them with plant food that will encourage their growth. That will help them yeild a delicious crop of either pickling or eating cucumbers for you and your family. 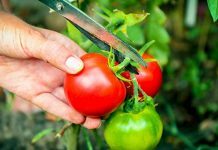 But, do pests and mildew and fungus still affect your plant if you're growing it inside? 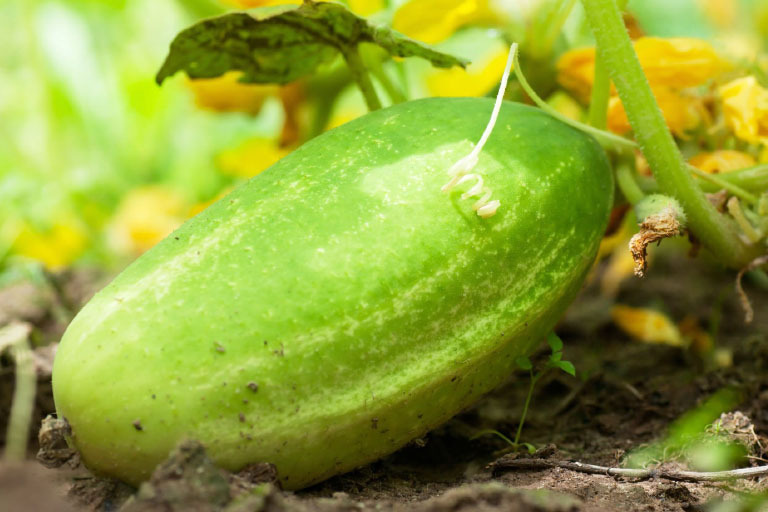 There are a wide variety of pests and diseases that can damage or even kill any types of cucumbers. 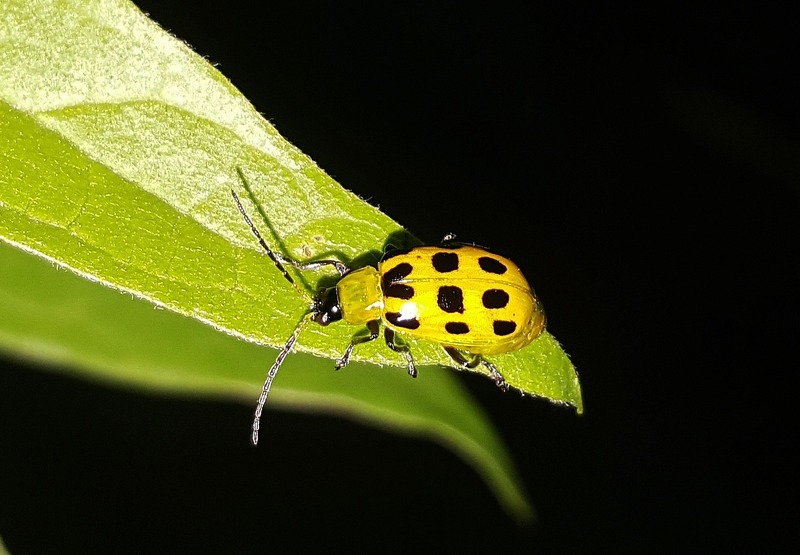 From cucumber beetles and squash bugs seem to be the most common pests for cucumber plants. Some bugs are slow movers and are easy to kill others are swift and will eat, and lay eggs at an alarming rate. That makes it difficult to keep up with the population, and even harder to keep them off your plants. There are many sprays you can use to keep bugs like these off of your cucumbers. The right spray depends on if you want an all organic crop, don't mind pesticides, and what bugs you want to target. Bugs aren't the only thing with a hunger for all types of cucumbers. There are a variety of fungi and mildew also take to plants like cucumbers. This mildew can look like a powdery white substance, it takes over every leaf and kills them effectively killing the plant as it spreads. You'll need to trim and remove any affected leaves and even apply a spray to end the spread of the problem. With all the information above you're prepared to make the right choice for your space. You know how to choose, handle and grow the kind of cucumber plant you want. You'll be able to figure out what types of cucumbers you wish to grow overall. Remember to factor in if you want pickles or salad cucumbers, because there are still those two different kinds of plants. Have you successfully grown cucumber plants in a small space? What did you learn about growing cucumbers? Leave a comment to let us know.